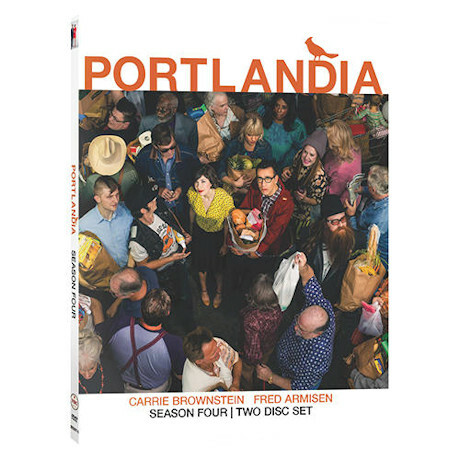 Filmed in and around Portland, seen on IFC, this sketch-comedy series won three Emmys and a Peabody for brilliantly parodying Portland. Starring Fred Armisen (SNL) and Carrie Brownstein (of the band Sleater-Kinney), executive produced by Lorne Michaels, it’s been called “charming and funny” (Los Angeles Times), “snarky but not sneering” (Slant), and the “smartest sketch comedy show on TV” (Salon). Each season is 6–11 episodes, 2–3 ¾ hrs on 1–2 DVDs.